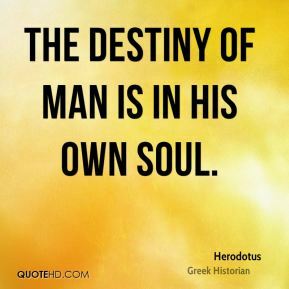 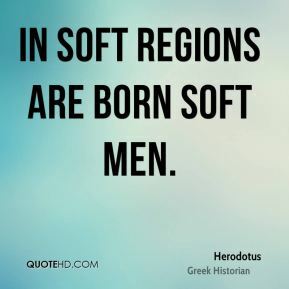 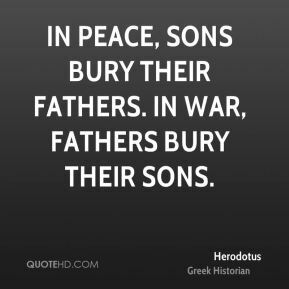 In soft regions are born soft men. 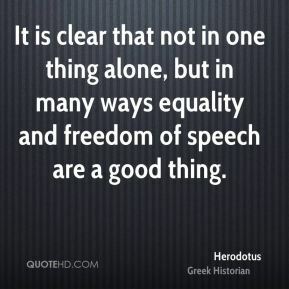 It is clear that not in one thing alone, but in many ways equality and freedom of speech are a good thing. 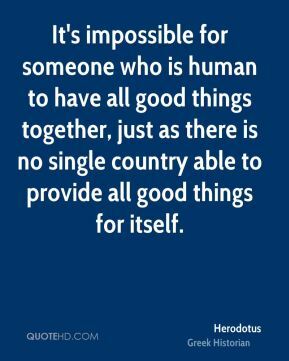 It's impossible for someone who is human to have all good things together, just as there is no single country able to provide all good things for itself. 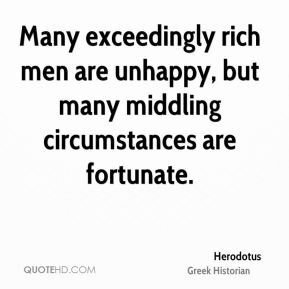 Many exceedingly rich men are unhappy, but many middling circumstances are fortunate. 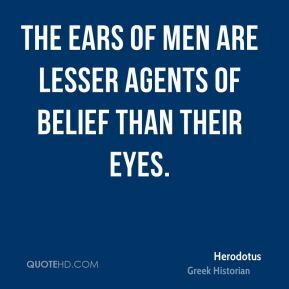 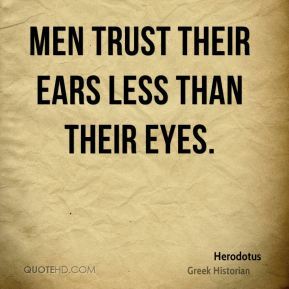 Men trust their ears less than their eyes. 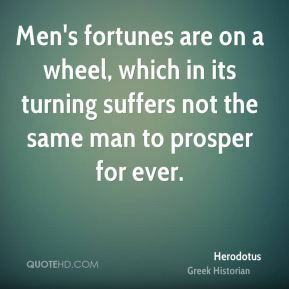 Men's fortunes are on a wheel, which in its turning suffers not the same man to prosper for ever. 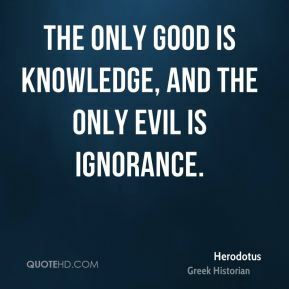 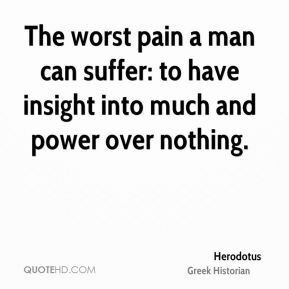 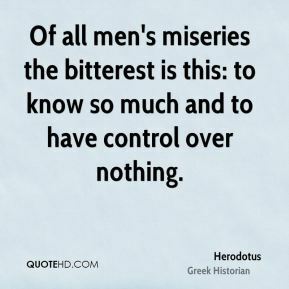 Of all men's miseries the bitterest is this: to know so much and to have control over nothing. 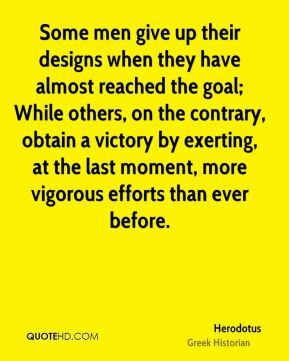 One should always look to the end of everything, how it will finally come out. 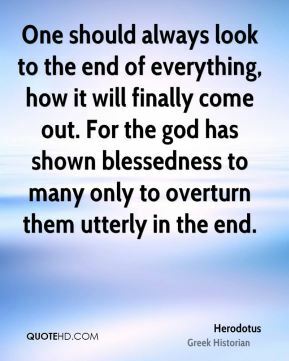 For the god has shown blessedness to many only to overturn them utterly in the end. 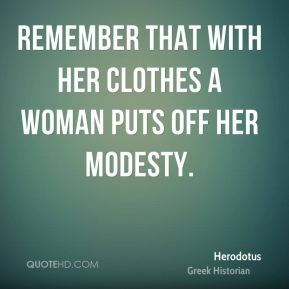 Remember that with her clothes a woman puts off her modesty. 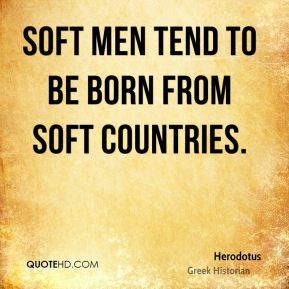 Soft men tend to be born from soft countries. 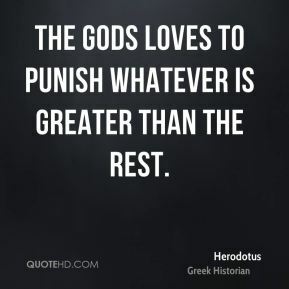 The gods loves to punish whatever is greater than the rest. 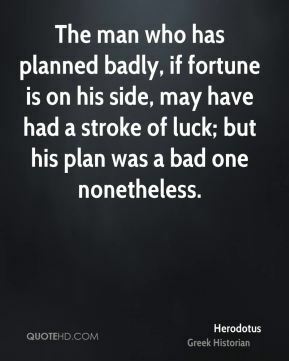 The man who has planned badly, if fortune is on his side, may have had a stroke of luck; but his plan was a bad one nonetheless. 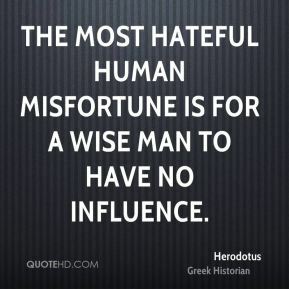 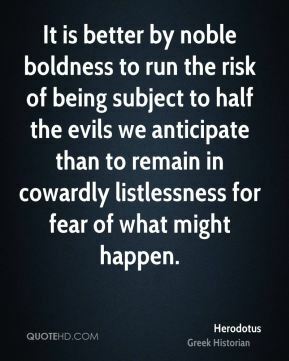 The most hateful human misfortune is for a wise man to have no influence. 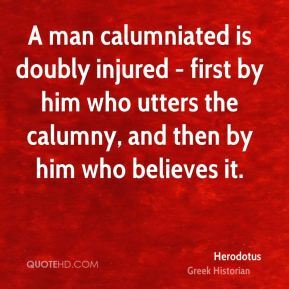 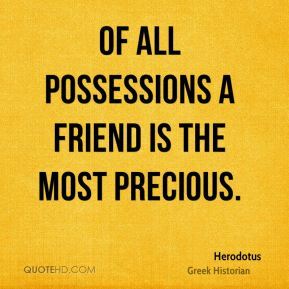 A man calumniated is doubly injured - first by him who utters the calumny, and then by him who believes it. 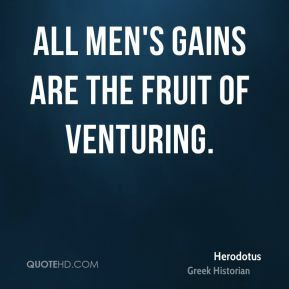 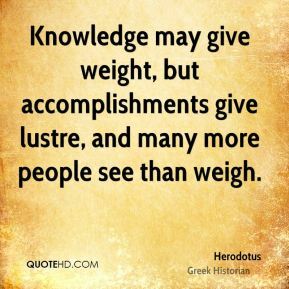 All men's gains are the fruit of venturing. 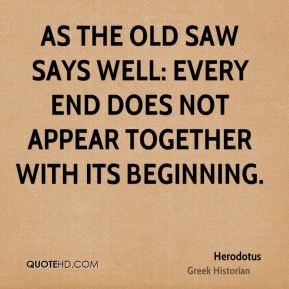 As the old saw says well: every end does not appear together with its beginning.